Baby Bells is suitable from birth to sitting and is a lovely, gentle class, which focuses on bonding and confidence. We use elements of baby yoga, baby massage and calming techniques to guide little ones through our magical, imaginary Baby Land and help them to truly experience our soundtrack of remixed nursery rhymes and lullabies. They'll meet friendly puppet characters, be introduced to age-appropriate props and discover sparkly parachutes - all designed to delight those freshly acquired senses and help babies to uncurl and release trapped energy. Baby Beeps is a bouncy, interactive baby development class that focuses on early language acquisition. Every class is a fun-filled adventure through Baby Land with wacky characters, lighting effects, cool props and parachutes that you won't see anywhere else. The class is set to a funky soundtrack of original baby songs, remixed nursery rhymes and lullabies. From the everyday to the truly spectacular, everything we do in Baby Beeps is magical. Happy House is a fun-filled, highly interactive toddler class for busy toddlers, pre-schoolers and their little siblings! We put the children at the heart of our story as we explore the Happy House and beyond! Expect music, drama, creative play, dance and movement all set to a fantastic soundtrack of remixed nursery rhymes, funky, original kids songs and familiar lullabies. Happy House is all about confidence as well as physical and emotional development. The class helps prepare young minds for a lifetime of learning through play. Built in 2010, the Newnham Village Hall (also known as the Newnham Clubroom) provides a modern spacious facility suitable for both small groups or gatherings and larger events of up to 50 or 60. The building used to be a Youth Club operated by Surrey County Council. Through the generosity of Sir Ray Tindle it was acquired by Farnham Town Council who leased it to a Management Committee made up of local people who saw the need for an active Community Centre in Wrecclesham. It is a registered charity. 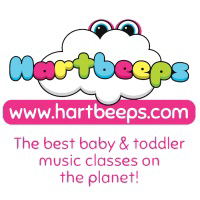 Hartbeeps parties are fun and fast paced and we move through the session with speed and high energy to captivate our busy little people and their grown-ups too! With lots of props, parties can be themed.